Designed for security and surveillance applications, our security DVRs provide a multitude of advanced functions including: video searches by event, time or date, alarm triggered recording, motion detection recording, remote viewing, and as always being able to record and view at the same time. We have a variety of DVRs to fit your budget and surveillance needs. From our mobile DVRs to the top of the line 480 frame per second 16 channel DVR, we know how to put together the best system for your needs. We offer different size monitors to view our camera systems. 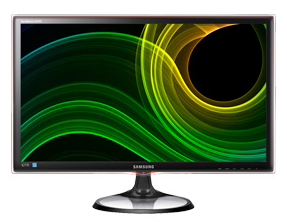 LED or LCD monitors are available depending on your size requirements. We offer 16:9 or 4:3, with dynamic contrast ratio typically up to 5,000,000:1. Dynamic Contrast Ratio is the difference between the brightest color (white) and darkest (black) over time. Higher ratios mean more contrast and therefore greatest quality when viewing thermal imaging details. The monitors we sell have the highest industry response times of 2 ms, you can be sure that your monitor will perform perfectly, even in the fastest moving scenes. 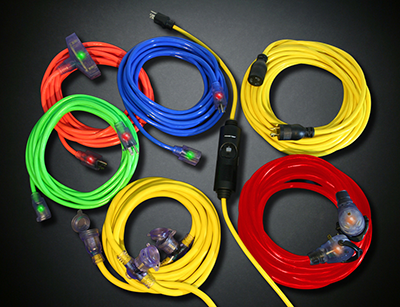 Additional cabling and wiring is available to assist your installation. If prefabricated wires are needed, make a request during your order and a custom package will be designed based on installation's specifications. Additional shipping and costs apply. Items typically include power and video wires, conduit, power box, and amplifier depending on distance from power source. Otherwise, consult a qualified electrician in your area to assist your installation when needed, or have a Lumistar Camera representive assist you any way we can.